(Natural News) Every two seconds, someone somewhere is having a stroke, and the cause isn’t always what you’re told. A stroke is when the blood supply to part of your brain is interrupted or reduced, depriving brain tissue of oxygen and nutrients. Most strokes (80 percent) that occur are ischemic strokes, where the arteries leading to the brain become blocked. In contrast, during a hemorrhaging stroke, blood vessels in your brain leak or rupture. The medical literature blames high cholesterol levels, being overweight, poor genetics, and being old as the primary causes for strokes, but a new study from the University of Aberdeen has uncovered a more startling cause of stokes. 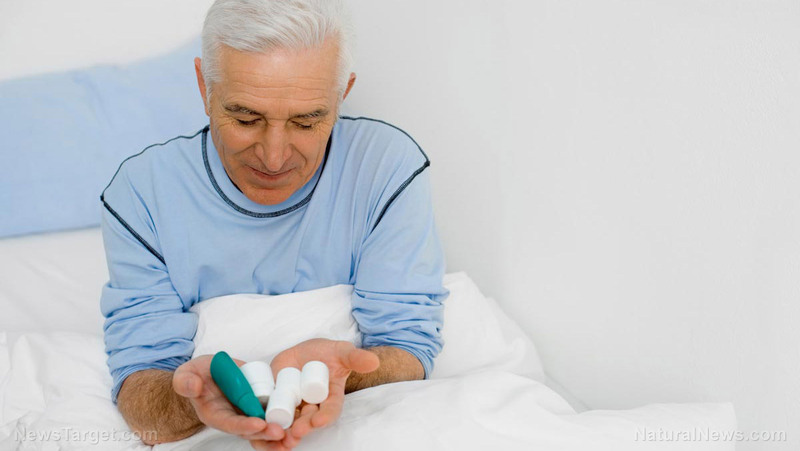 Anticholinergic medications, including hay fever remedies, diarrhea treatments, beta blockers and painkillers, all increase your risk of stroke. Anticholinergic medications affect the body’s cholinergic system, which regulates the gut and the heart. Their effects have already been linked to memory loss, dementia, and falls, and now anticholinergic meds are being linked to increased incidence of blood clots that can lead to a stroke. Anticholinergic meds cause embolic stroke by causing blood clots in the heart, which then move through the blood stream and become lodged in narrow arteries in the brain. This occurs because the medications make the heart beat fast and erratic and these irregularities trap blood and cause clots. The study, which included nearly 22,000 participants, was published in the International Journal of Epidemiology. The researchers found that people who take common anticholinergic medications are 59 percent more likely to suffer a stroke and have an 86 percent higher chance of dying from a stroke. Medications that increase stroke risk include the following: Piriton, a hay fever remedy, Valium, an anti-anxiety drug, Imodium, a diarrhea drug, codeine, a common painkiller, and beta blockers. This includes all generic forms of these drugs as well. The drugs with the greatest risk were pethidine, a painkiller, amitriptyline, used to treat nerve pain, oxybutynin, used to treat bladder conditions, and other common, over-the-counter anti-histamines. Over a third of patients 65 and older in the National Health Services are currently using these drugs. “Old age” and “genetics” might not be the primary cause for many of the strokes that are commonly seen in older adults. Study leader Dr. David Gamble said that these drugs all play pivotal roles in the treatment of disease but they pose severe risks as well. He says that patients and their doctors should think carefully before taking any of these medications. The risk for stroke doubles when the drugs are continually used over time. With stroke risk so high when taking anticholinergic meds, patients should have the option to turn to herbal medicine to treat conditions involving inflammation, bladder infection, sinusitis, hay fever, anxiety, and nerve pain. Herbal medicines do not cause erratic heart rate and therefore do not cause blood clots that lead to stroke. Here are a few herbal methods that treat common problems that are typically remedied by risky, stroke-inducing anticholinergic meds. For bladder infection, check out burdock root, oat straw, cranberries, and corn silk. For nerve pain, check out passionflower, white willow bark, skullcap, or blue vervain. For diarrhea, check out slippery elm bark, aloe vera, and black walnut hull. For anxiety, check out valerian root, St. Johns wort, Siberian ginseng, or CBD oil. For sinusitis and hay fever, check out ground nettles, quercetin, raw honey, and quail eggs.